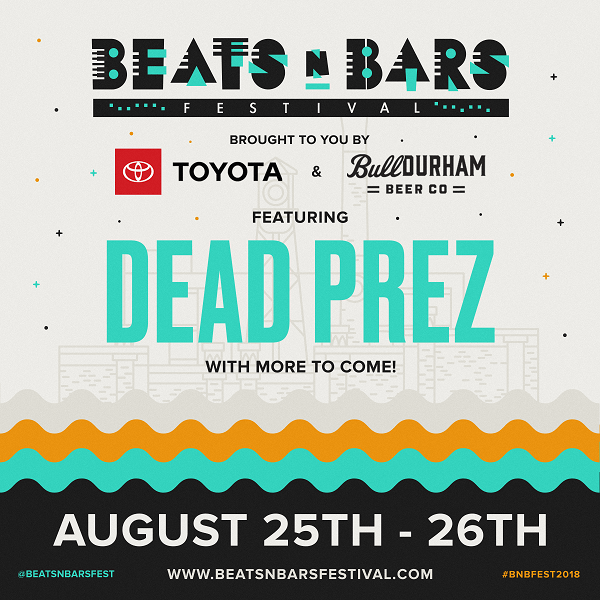 The Beats n Bars Festival returns this year August 25-26 in Durham, North Carolina. The 2 day event will be full of bars, emcees, art, bboys, graffiti, and DJs, and they have already announced that legendary hip hop duo Dead Prez will be in the building. The festival is also currently looking for volunteers, so if interested, or for more information, head to beatsnbarsfestival.com.